iOS 4.2 is due any time now for the family of iOS devices, and the GM (Gold Master) for iPhone, iPod and iPad is available now from several places for those who want to try it. The iTunes 10.1 beta is required to activate and sync with a device running 4.2. I found both at gumballtech, and have been running the Mac version of iTunes 10.1 beta and iOS 4.2 on my iPad for the past week. The features introduced with iOS 4 for iPhone are now available on the iPad, and it’s doubled the amount of tasks I do on the iPad. Presented here are some screenshots and details of the new features I have used. This is certainly not a complete list of new features, so if you you have any requests for more information leave a comment. 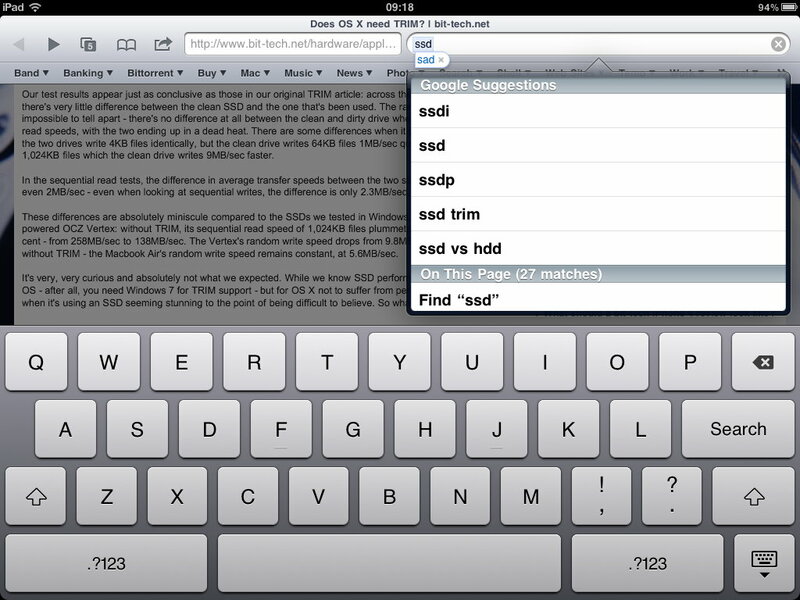 Just as with the iPhone, the addition of multitasking to the iPad makes it a joy to use. Tapping a link in the Mail application takes you straight to Safari to open the link, then a double press of the home button and a tap of the Mail icon takes you back to where you were in Mail. 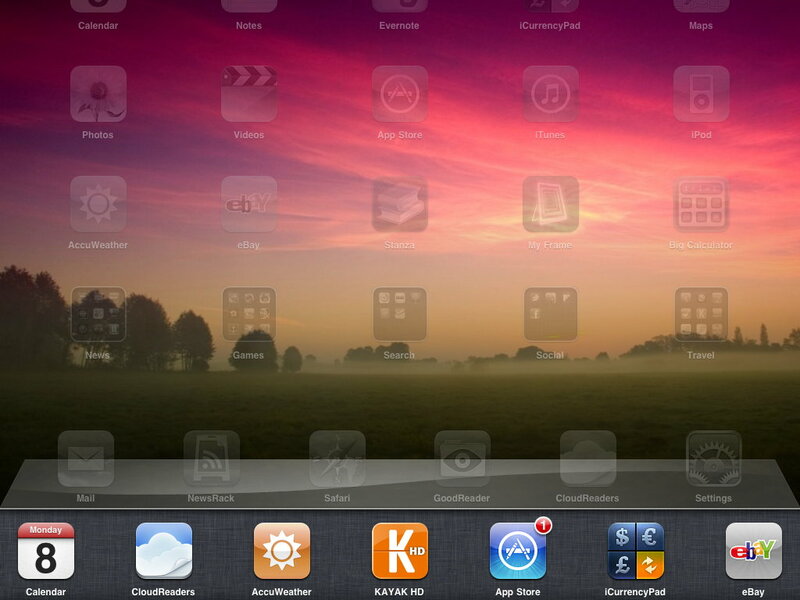 Being able to quickly jump between apps makes iOS 4.2 much faster to navigate. I recently bought a Belkin Grip Vue Case for my iPad. 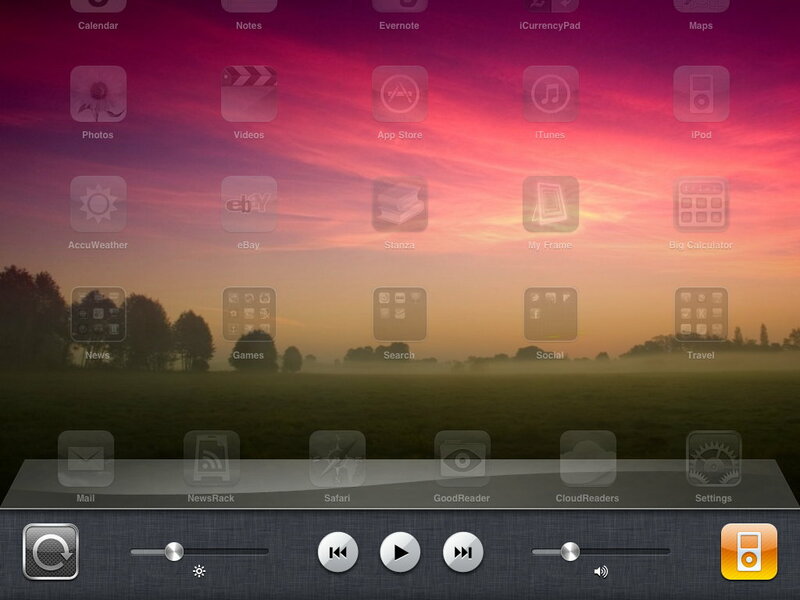 While it’s great at protecting the iPad it’s bulky around the volume controls and Mute switch (iOS4 behaviour). It’s good timing that the iPad now has on screen volume and rotation controls, so I don’t have to struggle with the switch. The brightness control is useful for late night reading-in-the-dark sessions, and iPod controls are also present. 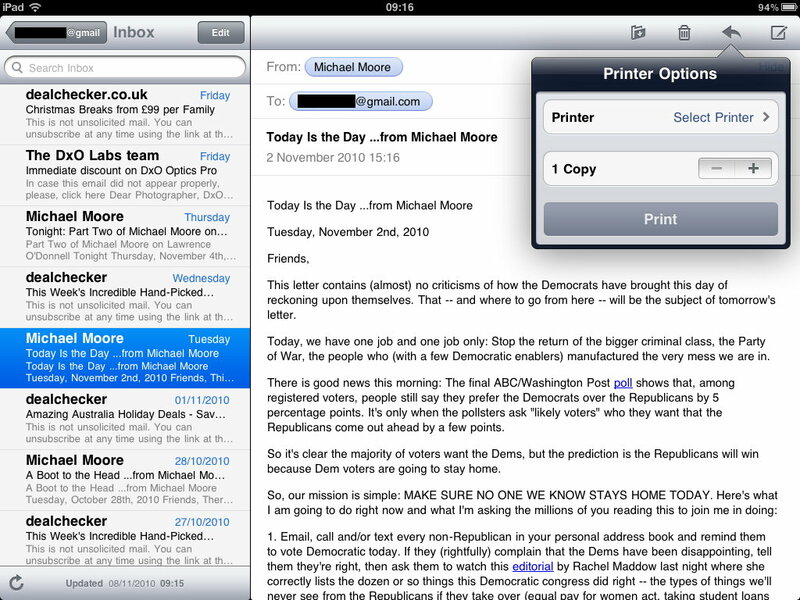 I haven’t seen the AirPrint button but this may be because I have no AirPrint compatible printers on my network. 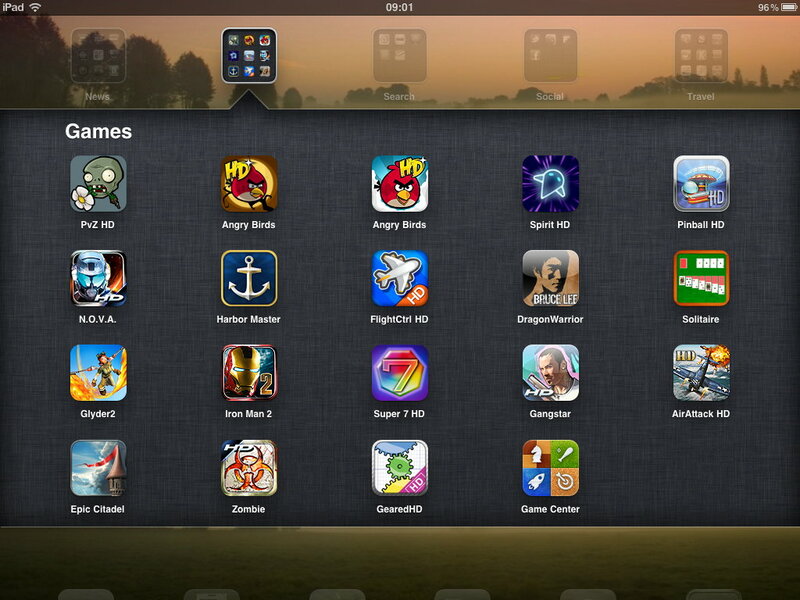 These work better than on the iPhone as they can hold 20 apps instead of the iPhone’s 12. Otherwise their operation is identical, with editable names. 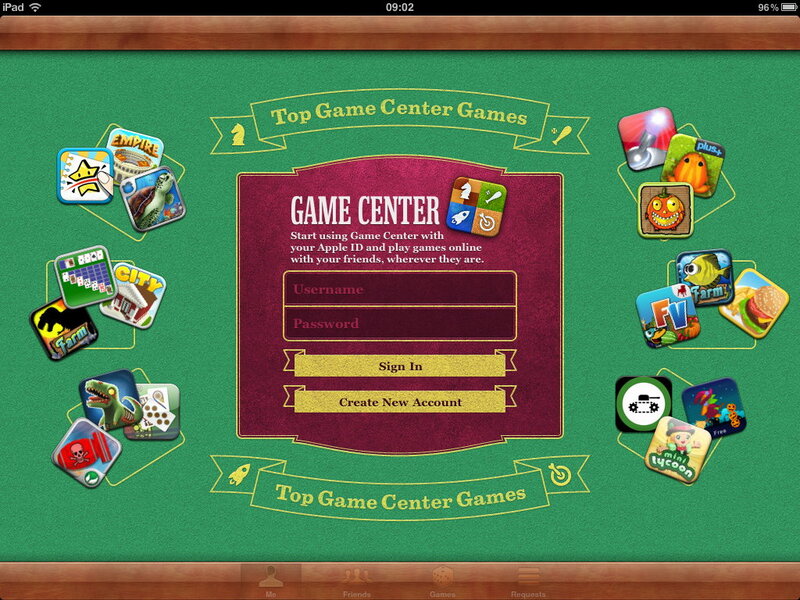 Apple’s new social gaming network arrives on the iPad. Other networks already offer similar functionality so there will be an interesting battle over the coming months. This seems a better foundation for Apple’s social networking aspirations than Ping. 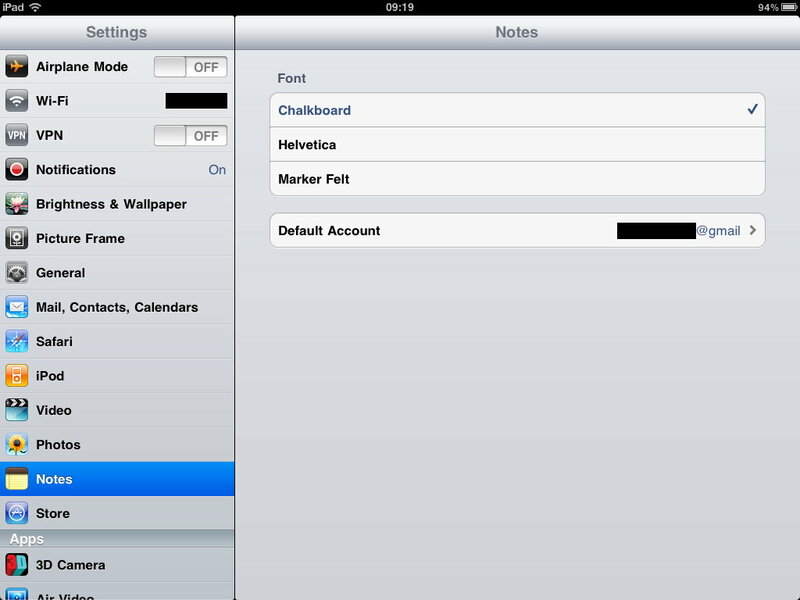 Of all the iOS 4.2 improvements this has made the biggest difference to my iPad use. 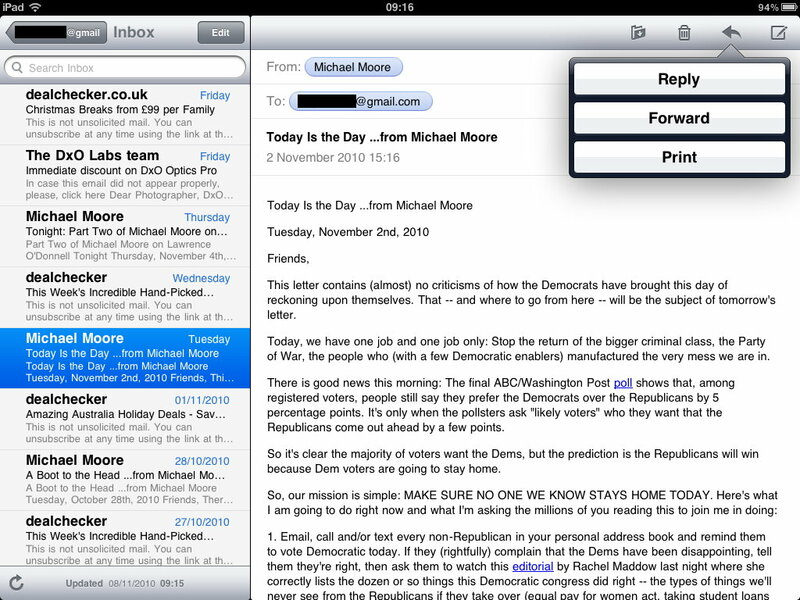 I didn’t use my iPad for email with iOS3 as the amount of taps to move between inboxes was a constant aggravation. 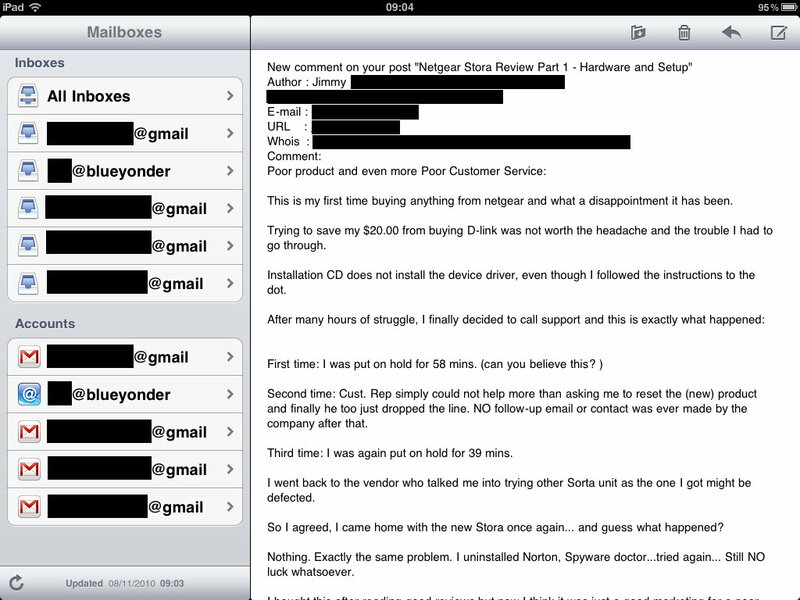 The unified inbox and other improvements mean email on the iPad has become a much more transparant task. iOS 4 on the iPhone added note synchronisation through email accounts, but since this was not available for the iPad at that time I used Simplenote. iOS 4.2 has added the option to sync notes without having to plug into a computer, so my iPad, iPhone and Hackintosh’ stay in sync. The default email account can be selected if you have more than one, and there is now a choice of three fonts for notes. This is a feature that isn’t currently working for me, despite having a printer shared from my Hackintosh. An Apple press statement claimed this was a feature but it may not be enabled until Snow Leopard 10.6.5, also due soon. 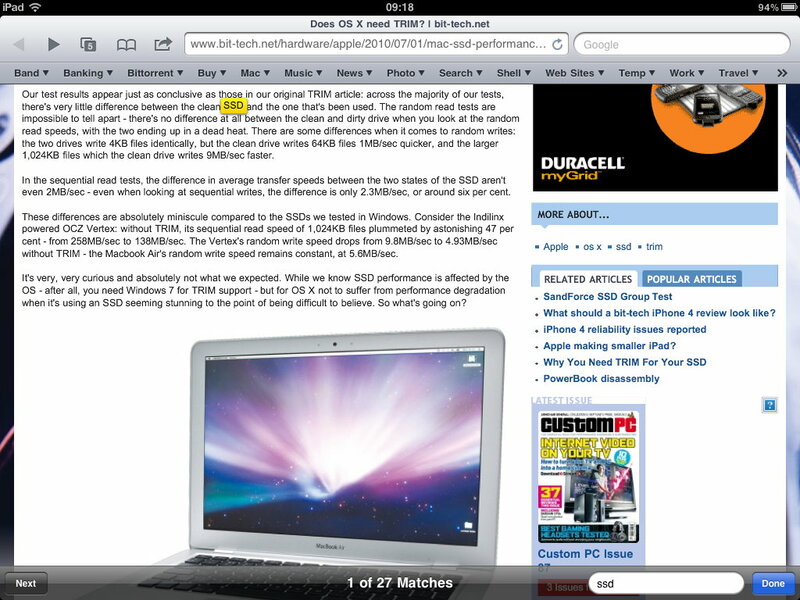 Mobile Safari finally gains in page searching. During my testing I only saw a ‘next’ button and no ‘previous’ button when searching for text, which seems like a strange ommision. There are many more changes and improvements in iOS 4.2 so this looks to be a major improvement for the iPad, which should help it see off the impending horde of Android and Windows 7 tablets. Only kidding, I meant to say continue to take 95% of the tablet market. Will someone please make a convincing alternative to the iPad? What about different folders in the mail app? I like to create folders for storing types of mail. I can’t seem to do this now.